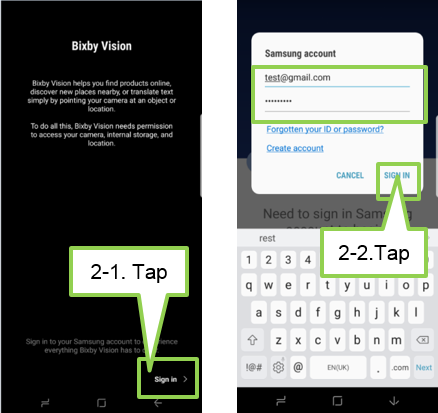 [Galaxy S8/S8+] How to use the bixby vision? 1. To activate Bixby Vision, Launch the Camera or Gallery app and tap . If you are already signed in,this step will not appear. 4. 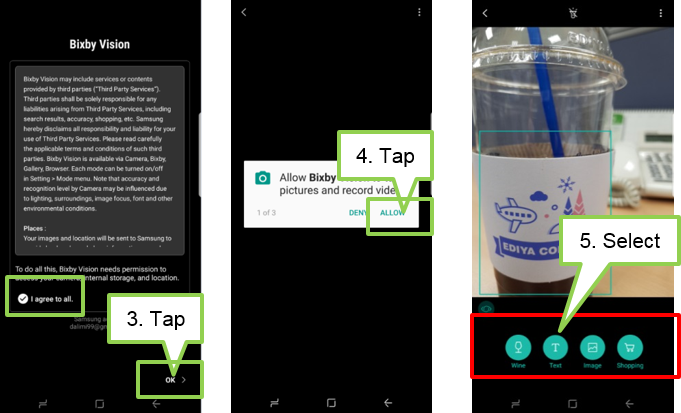 Please allow the permissions for necessary app to use Bixby Vision. 5. 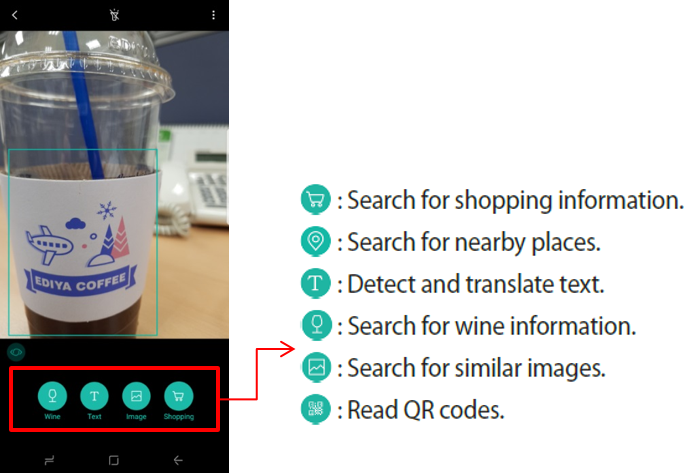 After setup, when a product is recognized and scanned, the available search icons will appear. Tap the search icon you want to use. Simple results are shown after choosing an icon. such as the product name and its price. A direct link to shopping results is provided to help you purchase a product even when you do not know what it is called. 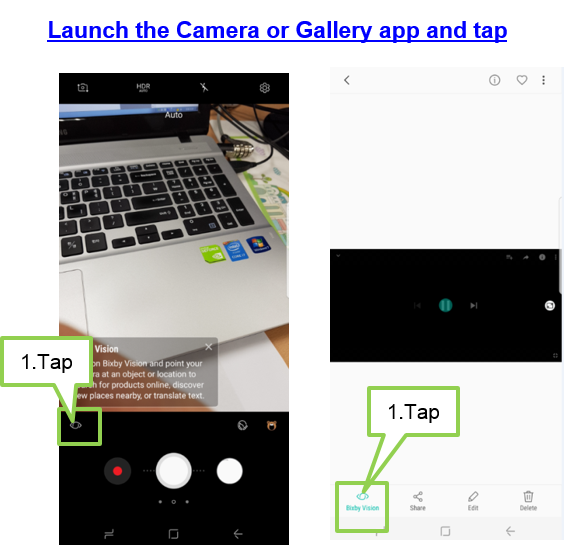 Detecting and translating text: Detect text in an image to share or translate it. Searching for similar images: Search for images similar to the recognized object online. You can view various images with properties similar to the object, such as color or shape. such as a website’s address, content details, location information, or business card details.